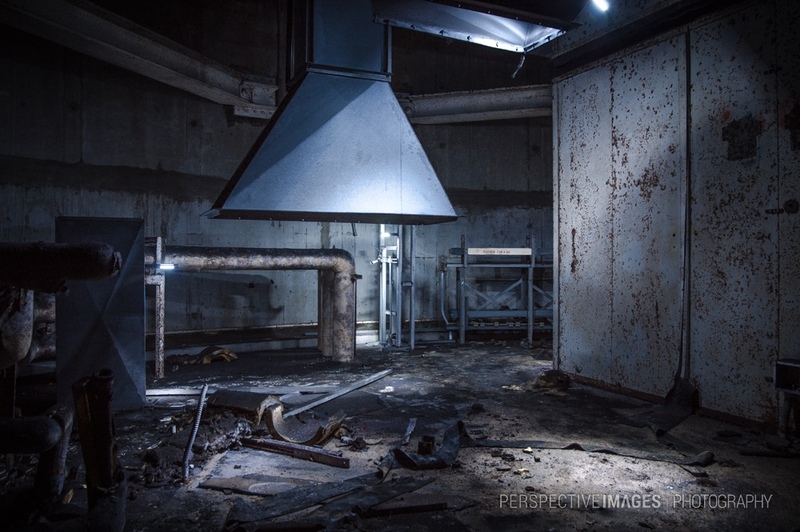 The upper floor of a less accessible part of the missile silo that required some creative climbing. No graffiti or extensive vandalism is present. The room looks to be pretty much how it was left after the salvage crews came though, along with a heavy coat of “I’m sure if I breathe this in, I’ll hack up a lung” black dust. Fantastic light, great shot of this place ! Perfect use of the lights.